Your local Caldera Hot Tubs dealer in Windsor CT is Sunwrights Spas. 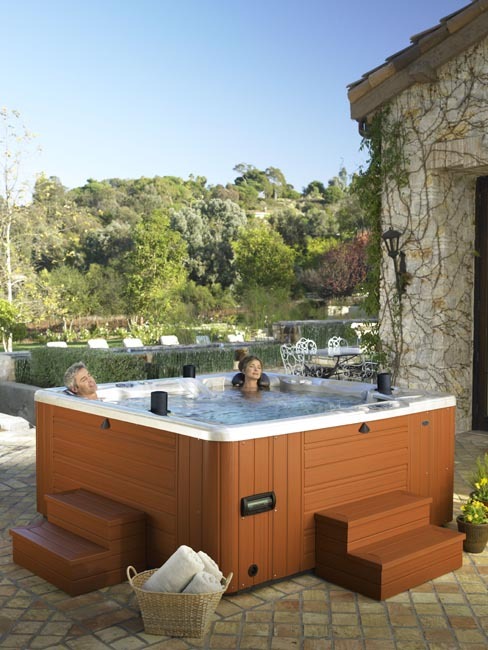 Our line of beautiful hot tubs begins with the Utopia Series, Paradise Series, and Vacanza Series. Many would say that having a hot tub is a luxury. Others swear by the benefits of a bubbly hot water soak on tired muscles and joints. You know you want a beautiful Caldera Hot Tub, but have you given any thought to exactly how you are going to use your spa? Will you enjoy your spa with your family to relax while sharing quality time together? Are you looking forward to a more intimate retreat for two? Do you see your neighbors and friends enjoying your spa after cocktails in the evening? We believe that the right spa can enrich your life. For ease of use, maximum comfort and efficient operating costs, the Caldera lines are just what you are looking for. Come to Sunwrights Spa and let us help you find the perfect hot tub that meets all of your needs. Call us at 860-282-7727 if you have any questions.